Tirole J. The Theory of Industrial Organization (Рынки и рыночная власть: теория организации промышленности). — Cambridge, MA: MIT Press, 1988. 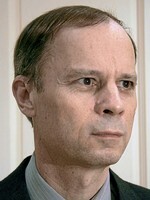 Fudenberg D., Tirole J. Game Theory. — Cambridge, MA: MIT Press, 1991. Laffont J.-J., Tirole J. A Theory of Incentives in Regulation and Procurement. — Cambridge, MA: MIT Press, 1993. Dewatripont M., Tirole J. The Prudential Regulation of Banks. — Cambridge, MA: MIT Press, 1994. Laffont J.-J., Tirole J. Competition in Telecommunications. — Cambridge, MA: MIT Press, 1999. Tirole J. The Theory of Corporate Finance. Princeton, Oxford: Princeton University Press, 2006. Дал совет смотрим тут корочка в школе по регламенту товароведа.